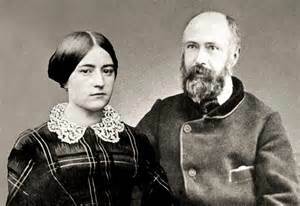 Although Zélie and Louis were constantly pressed for time, each was faithful to the contemplative life, the life of family prayer, and the liturgical life of the Church, and they created a family similarly faithful. Husband and wife maintained a demanding schedule. Yet every morning they attended the 5:30 Mass, saying it was the only one the poor and working persons could attend. When the neighbors heard their door shut as they left for church, they would say “Oh, it’s only that holy Martin couple going to church; we can turn over and sleep a while longer.” Every morning and evening they prayed as a family; they observed Sundays and the feasts of the Church with care. Louis was a leader in the nocturnal adoration of the Eucharist. Zélie, always the last to go to bed, was often up till nearly midnight. There were many demands on their time, but they gave it generously to serve God and their neighbor. In the midst of this family life, however, the parents formed each daughter carefully from childhood in the spiritual life. They studied each child as an individual, nurtured her confidence in them, and encouraged her to give God a free hand in her life. 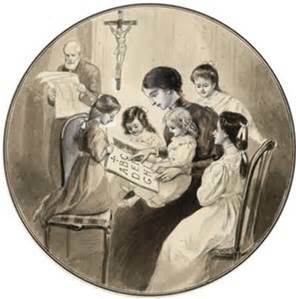 About the decision to allow Marie to go on a retreat at the Visitation Convent where she had been educated, Zélie wrote, “I did have a good reason for wanting Marie to make the retreat. 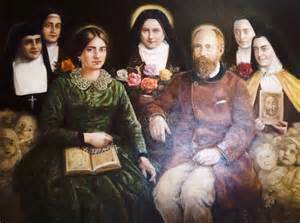 It’s true that it is an expense, but money is nothing when it comes to the sanctification of a soul; and, last year, Marie came back completely changed.”7 Louis had a profound respect for the spiritual lives of his daughters and reverently supported each in fulfilling her vocation. Devoted to each other and to their children, Zélie and Louis reached out lovingly to support their extended families. For years they shared a house with Louis’s parents. When Zélie’s father could not find a good housekeeper, she welcomed him gladly into her own home, and she wrote to her brother “You would not find one in a hundred as good as my husband is to a father-in-law.”8 When her father died, Zélie wrote to her sister-in-law: “If you only knew, my dear sister, how much I loved my father! 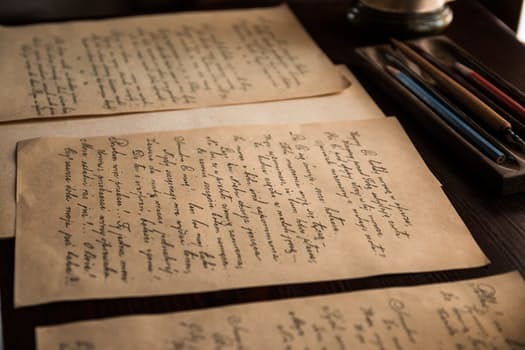 He was always with me; I never left him; he gave me all the help he could.”9 The couple was very close to Zélie’s sister Marie-Louise, a nun of the Visitation at Caen, and sent their three oldest girls to school at her convent. They often wrote and visited Zélie’s brother, Isidore Guérin, and his wife, Céline, who lived at Lisieux. After Zélie’s death, Louis moved to Lisieux with his five daughters to give them the advantage of the influence of their aunt, uncle, and cousins. Maureen O’Riordan, a student of St. Thérèse, lives in Philadelphia, Pennsylvania. For many years she has spoken about St. Thérèse to parish, Carmelite, and retreat groups. She has published articles about St.Thérèse and her parents. Listen to more of this fascinating interview with Maureen broadcasting on Magnificat Media/Radio, Thursday, January 19th @ 6am, 7am, 3pm, and 4pm, CST, USA.